Recently on a cold blustery day, after a storm blanketed the landscape with ice and snow, we found ourselves walking through the woods along a high ridge where for thousands of years people long since gone, had come with all their hopes, dreams, aspirations, and those they loved, to quarry flint, for arrow heads, knives, and other tools. Around now flooded quarry pits, in the magic of frozen crystalline beauty, it was hard not to sense their presence and hear their voices as they spoke the wisdom of the moment and time passing. 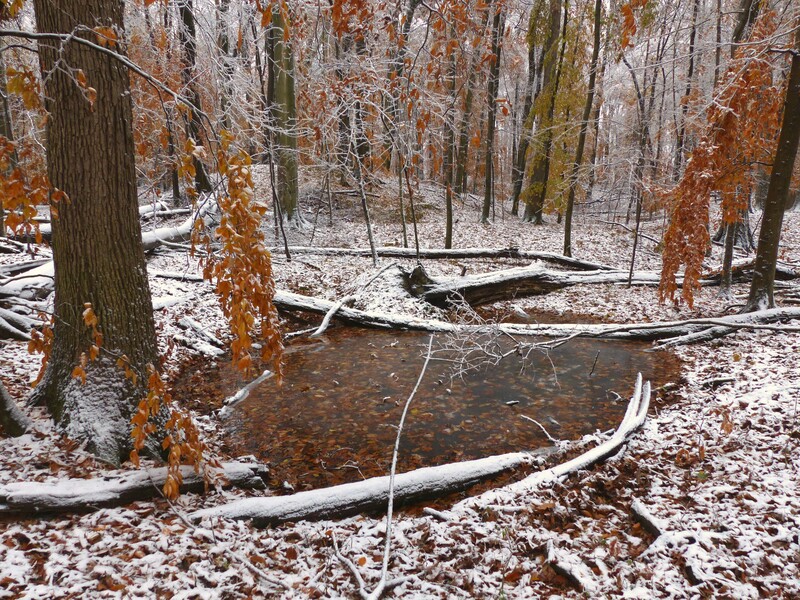 Ice and snow, Flint Ridge State Park. Those were very special places. Mrs T likes the feeling of treading where countless generations have trodden before. What a connection to the ancient ones! I have felt that in the Sonoran Desert when I visited ancient building sites.